Now that you are here, you need a way of getting around. Here in the mountains you really do need your own transportation. There are not a lot of options when it come to public transportation. The only way you can really get around renting a motor vehicle is by booking bus tours that will take you to all of the places you don't want to miss - and don't get me wrong - this is a great way to see the mountains and limit the impact of tourists in the national parks!! If you do, however, want to be a little more spontaneous and free, you will want to rent a motor vehicle. 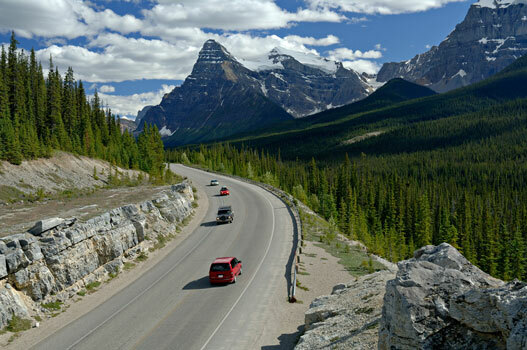 See the Rockies by car! Whether you want to rent a car, a truck and trailer or fifth-wheel or even a motorhome, I hope this list can help.